and my strawberries are all deformed and never grow larger than the size of a dime before shriveling up or getting moldy. heres a picture of my garden a week or so ago, you can see the potato plant looked perfectly fine. Re: What are these spots on my veggies? 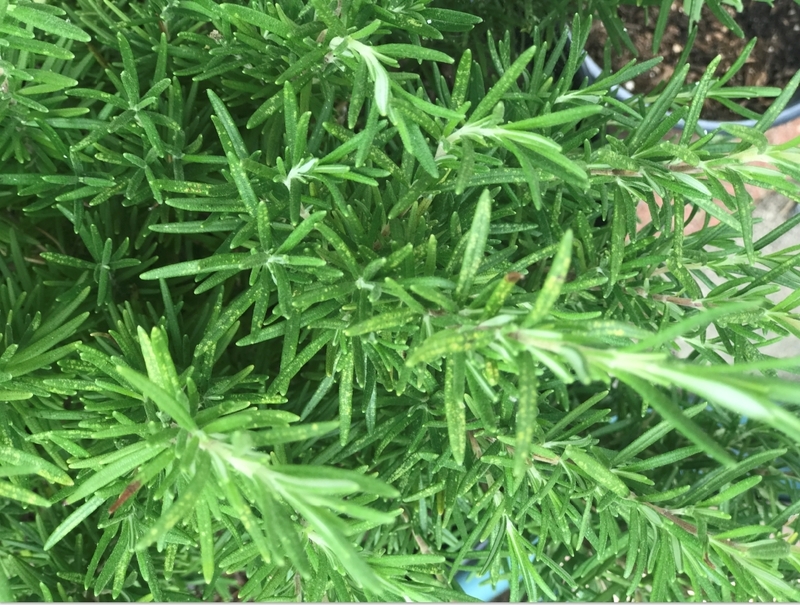 Rosemary, I'm pretty sure is due to sucking insects. Try washing the foliage 3 times a week with hard sprays of water. 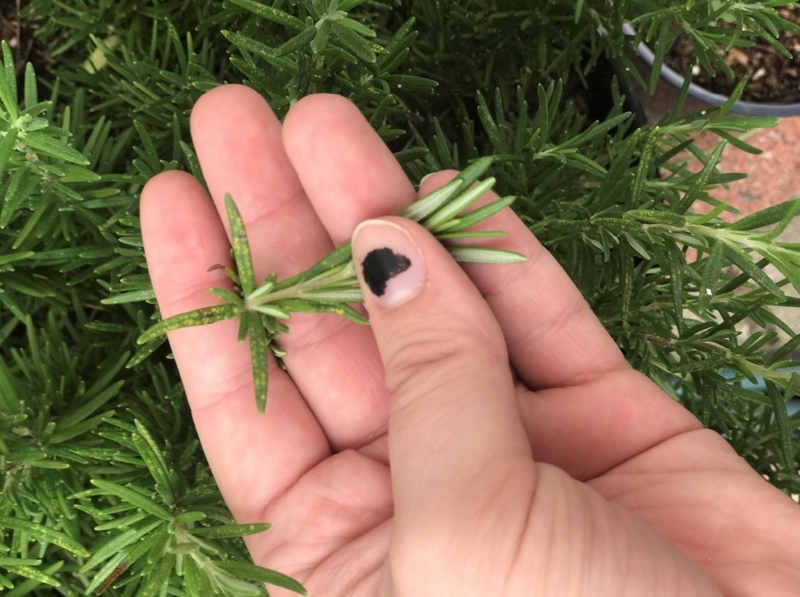 Rosemary needles can take quite a bit. TRY to do this without constantly soaking the soil though. Maybe cover the pot and soil surface with plastic bag or something. Potato looks like septoria -- maybe splashed up from the ground, or spores can also come off the side of the building since it's a fungal infection. Is it all over the plant or just lower leaves? If just lower leaves, you can remove the diseased leaves. A bit concerned that that container looks too small. How did you plant? Cut up seed potatoes? -- ideally only one little chunk= 1 plant in that one pot. Especially since we are talking containers, most likely cause of deformed stunted strawberry fruits is boron deficiency. But moldy is caused by grey mold/botrytis -- a different issue. Grey mold can occur on perfectly beautiful berries -- So disappointing. Personally, I would thoroughly spray the lot with diluted milk for starters. (After removing any infected leaves, fruits, etc.) The rosemary won't mind either. Do this every other week. Lots of fungal issues in your garden can have to do with moisture/ humidity. I notice a hose in the picture. How do you water. 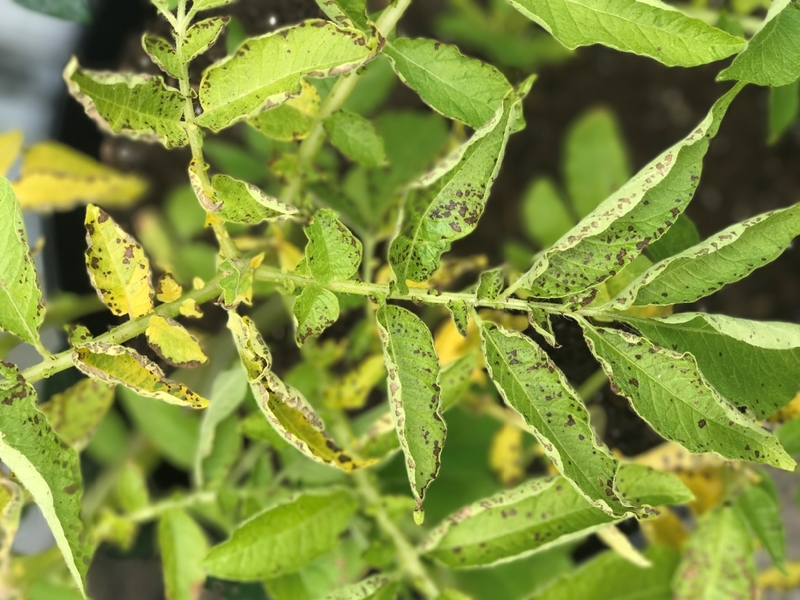 Putting water on the leaves contributes to development of fungal issues from the moist environment and then spread of fungus as the water drips down from one leaf to the next. Only water the soil. Thank you so much! I'll definitely do that with the rosemary. For the potatoes, its all over the plant now unfortunately. Its was one entire seed potato haha.. Is this guy a goner? 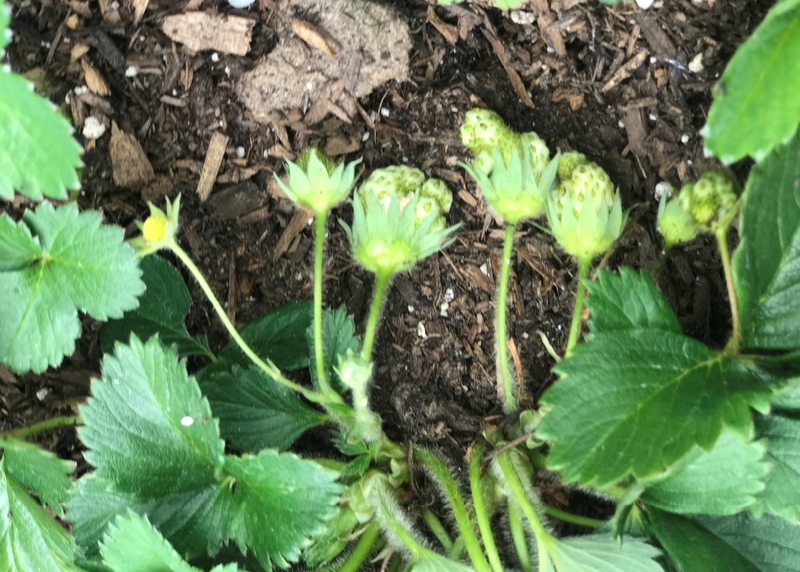 Will I have to buy a fertilizer for the strawberries? Also, for the milk, what exactly does that do? just out of curiosity. I try my best to water only the soil. Im wondering if the dirt i purchased was not so great. There were lots of flying bugs in and around it not even hours after planting everything. Same story with my indoor plants and I got the soil from the same brand/home depot. Its woody and doesnt feel like a nice soft airy dirt. I'd love some recommendations on what I should be buying in the future or maybe how to improve it? thanks again! Can anyone help - why do I have miniature veggies?